Be the first to share your favorite memory, photo or story of Tommy. This memorial page is dedicated for family, friends and future generations to celebrate the life of their loved one. Mr. Tommy Gambrel, age 85 of Williamsburg, Kentucky, husband of the late Ethel Gambrel passed away on Saturday afternoon at St. Joseph Hospital in Lexington, Kentucky. He was the father of Thomas R. Gambrel of Corbin, Kentucky and Charlisa Stewart and husband, Tommy of London, Kentucky. He was the brother of Parley Harris and husband, Dickie of Paris, Kentucky, Sue Gibbs and husband, Richard of Corbin, Kentucky and Sharon Cole of Fort Meyers, Florida. He was the Grandfather of Thomas Adam Gambrel of Atlanta, Georgia, Sierra Alexis Stewart of Lexington, Kentucky, Scotland Gambrel Stewart of London, Kentucky and the late Leslie H. Gambrel. Funeral services for Mr. Tommy Gambrel will be conducted at 7:00 p.m. on Friday evening in the Laurel Funeral Home chapel with Pastor Jerry D. Lowrie officiating. The family has requested that graveside services and burial be private. 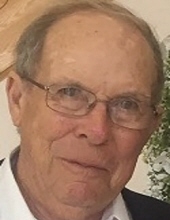 The family of Mr. Tommy Gambrel will receive friends at Laurel Funeral Home from 4:00 p.m. until the funeral hour of 7:00 p.m. on Friday evening. In lieu of flowers the family respectfully requests that memorial contribution be made to the Main Street Baptist Church of Williamsburg Building Fund, 908 Main Street, Williamsburg, Kentucky 40769. Laurel Funeral Home is honored to be of service to the Gambrel family. To send flowers or a remembrance gift to the family of Tommy Gambrel, please visit our Tribute Store. "Email Address" would like to share the life celebration of Tommy Gambrel. Click on the "link" to go to share a favorite memory or leave a condolence message for the family.